You can have 35 cards. Or 12. Or 57. 60 is the upper limit, but there's no lower one! I personally often find myself not knowing what to take out of a deck in order to put some tech cards. Or i browse the collection trying to fill that 29th or 30th spot. In this brawl, you can play with your 15 card aggro wonder deck, or with your 60 card super grind control deck. Hearthstone is the only card game i know where the decks must always be 30. So why not try to experimwnt a little? The turn limit would be raised from 80 to around 120, just to allow those control lovers to enjoy their battle of wits. 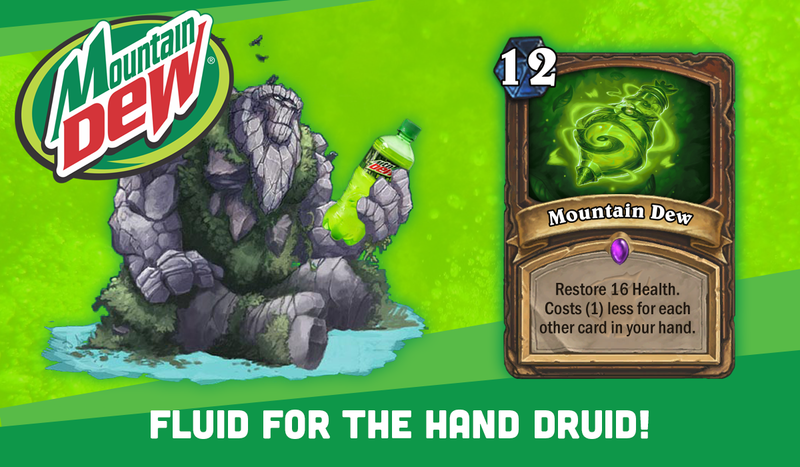 A good thought except Mechathun exists, and I'll bet someone could figure out a 5 card or less combo with it. Wondering if this might be too complicated. Also, has anyone had success making an extra line without the /r/n? Just curious is all. Wondering if this might be too complicated. Also, has anyone had success making an extra line without the /r/n? If you just left it as drawing-alphabetically, I think it would be fine. As for the /r/n, it was fine two days ago when I was workshop-ing the idea with Shadows. Shortly after I made the example in the OP, it started bugging out on me. 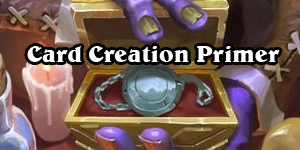 I thought I'd just do a Wild brawl, but Standard looks more interesting as we might see some truly new decks and combos, though there's a chance you wouldn't be able to play with that card you liked before it got destroyed. I don't like the art. If anyone's got any suggestions, just say the word. Shadows found a work-around that's obvious in hindsight: just don't initiate a line-break. Also, don't use apostrophes! They appear as \'. I suspect this probably applies to quotation marks ("), ampersand (&), greater than (>) and smaller than (<), as they are all reserved HTML characters. What about brawl where, after your deck is ready, you can choose 3 cards to "ban" them. That means, you won't be able to find opponents which have these cards in deck? He's still a 10 mana card. All Mecha'thun combos that exist now require 10 mana to play. 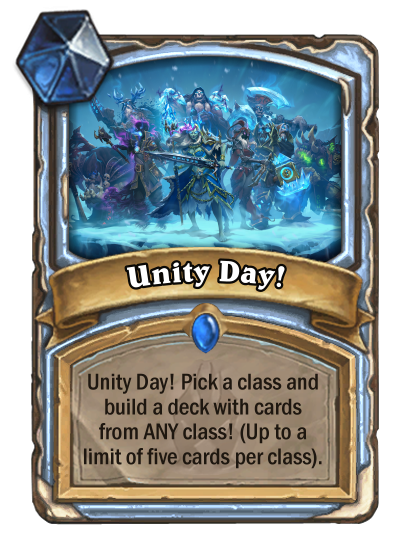 You only need 4-5 cards for the combo, but how do you survive untill you can play it? 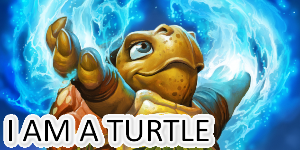 You play Druid. They could kill you on turn 4 with Mecha'thun (or turn 3 if they go second). 7 cards total needed, which they draw by turn 4. They could even lengthen the game a little to add some added survivability in Branching Paths if they wanted. I think you could devise an Aggro strategy that would consistently beat it, but that would be what the Brawl would devolve into - Mecha'thun Druid vs the fastest Aggro decks. And I guess a few Control players who hope they draw their Dirty Rat/Potion of Polymorph/Demonic Project, but they'd still only get to play like 5 turns before their opponent won or conceded. Can we select a few cards to be banned then? Some tavern brawls from blizzard have the deathknights, or flamewaker disabeled. If not then i guess i'll add a minimum card limit. Tooltip Generator not working for me so put it on a spell instead. Basically you pick any class you want for the Hero Power, then you can build a deck however you wish with up to 5 class cards from any class, so you could build a deck with 5 Rogue, 5 Mage, 5 Warrior and 15 Neutrals for example. I was going to submit the EXACT idea (right down to the limit of 5)... guess it's back to the drawing board for me! I’ll pass on my self destruction idea and work on this one. So, after you're deck is made, you can separately choose three cards from any class, even these you don't have in collection. When searching for opponents, all players using any of those cards will be automaticaly skipped. Also, if you have any ideas to change wording, you're welcomed. This could be a fun brawl, can throw in counter play with Doomsayer or negative deathrattle minions. 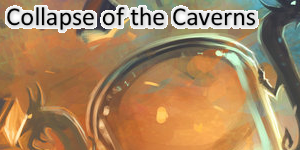 Most likely would make spells, Fizzlebang, and hero cards banned. this is my idea. also if someone knows how to get rid of the \r\n, please let me know. i don't know how.